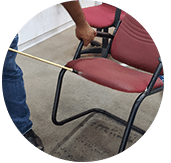 Our company’s pro upholstery cleaning services in Kuala Lumpur and Selangor are now just a click away. 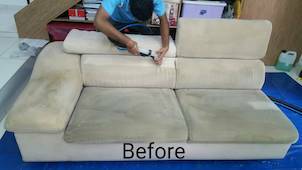 We clean upholstery furniture such as sofa, couch, recliners, chairs and other furniture items that are made of leather or fabrics in Klang Valley. It is safe to say that you are truly happy with the upholstery fabric cleaning services in your home or office? You’ll need to concede that it is genuinely hard to work admirably all alone. 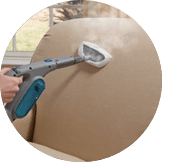 Why you should find and hire the best fabric upholstery cleaning services to guarantee that you are happy with the outcome all the time. 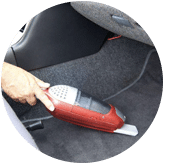 – The whole bit of upholstery will be cleaned fastidiously to remove dust and allergens during the extraction process. This incorporates folds and hole where you may not, for the most part, have the capacity to reach. This guarantees organisms, microorganisms and vermin don’t have a sheltered place to remain in your furniture and floor. Additionally, the residue will be evacuated altogether. There is a wide range of sorts of materials utilized for upholstering furniture, some of which are more delicate than others. These materials clearly should be taken care of with a lot of care. 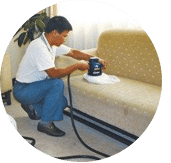 A specialist upholstery cleaner will have the capacity to utilize the correct cleaning operators and strategies to dispose of a wide range of stains on your furniture. 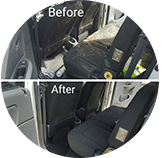 The upside of managing the best in the business is that we have will just utilize great cleaning supplies on your expensive upholstery items. Some certain popular economical cleaning supplies can be very unforgiving on fabric, making it tear or blur far before now is the right time. Our professionally trained upholstery cleaning staff will respect every one of its responsibilities, particularly concerning time. 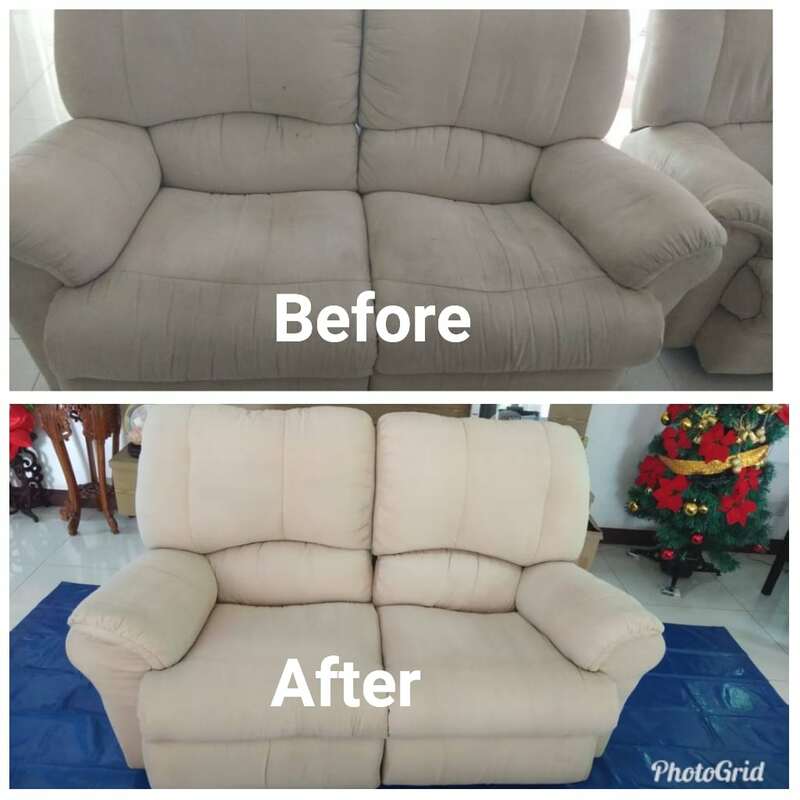 Our company regard that you are a bustling individual and hence and we will complete your residential upholstery cleaning and restoration job with the slightest conceivable bother. 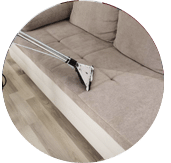 – We will offer you an assortment of pre and add-on cleaning services if you are looking to clean other upholstered items in your home or office such as carpet, mattress, and curtains cleaning as well as stain removal or water damage upholstery repair services. 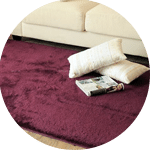 Aside from evacuating stains, soil and earth, a good upholstery cleaner company will likewise help dispose of frightful odors and scents from your furniture using the appropriate equipment. 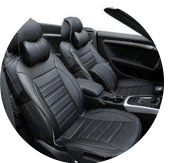 Please contact our customer service today via call or send us a message right now for further information if you have any enquiries regarding our upholstery fabric cleaning service in Kuala Lumpur and Selangor or get a new quote at a special price. 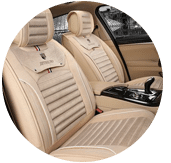 Our customer service team will reply to your request within a few working hours to find out more and discuss further about the upholstery fabric cleaning service that you require. 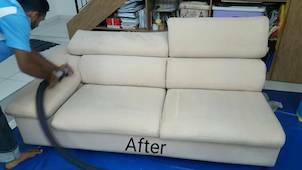 Subsequently, we will issue you a quotation and an invoice for the upholstery fabric cleaning service. 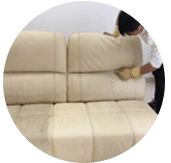 Our upholstery fabric cleaning service is available in Peninsula Malaysia from Kuala Lumpur, Selangor, Ipoh, Johor, Malacca and Penang. Speak to our team to enquire more about the upholstery fabric cleaning service that we provide in your area. I have a special request for the upholstery fabric cleaning service, can this be done? We understand that sometimes our customer have special requests for upholstery fabric cleaning service with regards to timing and other matters. In this scenario, you can contact our customer representative team at 017-232-6491 to discuss your upholstery fabric cleaning request.